Ochsenkopf (OX-Head) was established in 1781 and is the oldest brand of the GEDORE Group. It has become one of the oldest surviving trademarks in the tool industry in Germany. The Ox-Head products are forged in our own production and stands for Quality, Safety and Effectiveness. Our Axe heads are made from durable and resistant C60 steel, which is the highest possible quality. 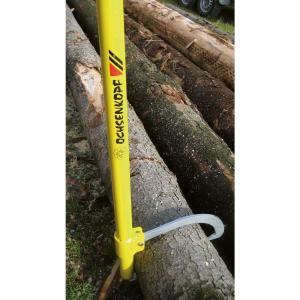 Tbook.com crawls the web to find the best prices and availability on Tree Pruners and related Tools and Hardware products like Ochsenkopf 41-1/2 inch Aluminum Turning hook. For this page, related items include products we find that match the following keywords: "Tree Pruner" at our vendor partner Home Depot. Ochsenkopf 41-1/2 inch Aluminum Turning hook is one of 75 Tree Pruners and related products listed in the Tools and Hardware section of Tbook.com If you have any questions on this product, please give us a call at 734-971-1210 during the hours of 9am - 5pm EST for assistance. Thank you for shopping at Tbook.com, the Internet Department Store!